Often described as ‘the most beautiful hill town’ and ‘the Queen of the Hills’, visitors to Darjeeling are mesmerized by the beauty of snow-clad Himalayas encircling the town. But the beauty is now stuck only in the backdrop of the town over the horizons, while the ground on which we stand to enjoy the beauty is littered with garbage, dirt, and filth that is gradually covering up every little empty patch of the town. 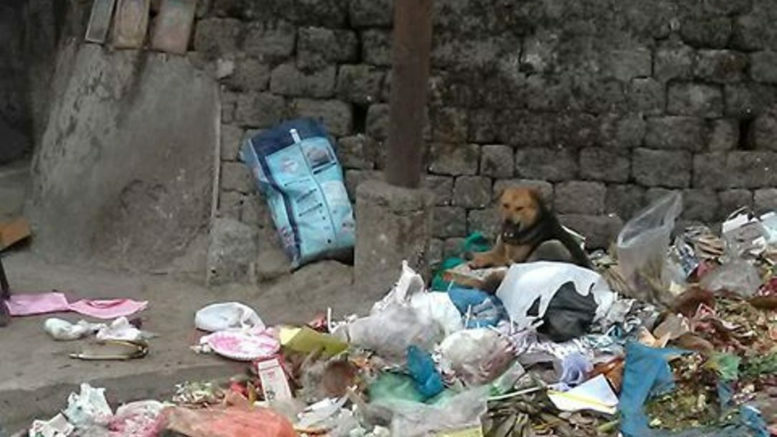 Call it lack of resources or plain simple indifference of Darjeeling Municipality, huge piles of garbage are accumulating in every nook and corner of Darjeeling. 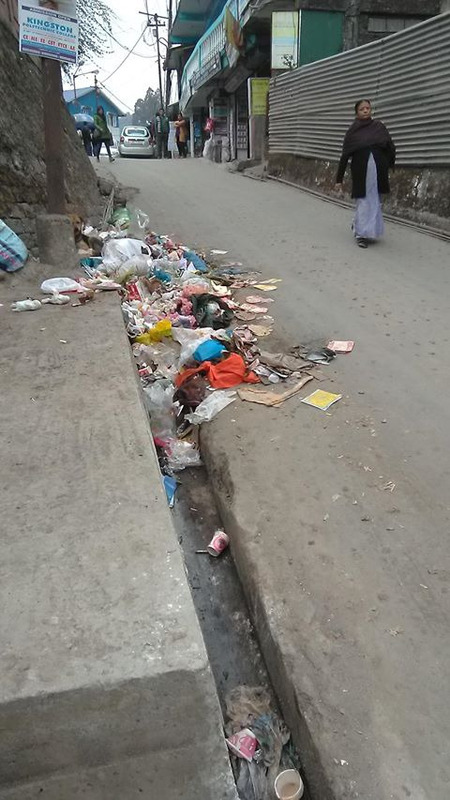 The biggest irony of the town is perhaps the hygiene and cleanliness around Darjeeling Hospital, where people mostly from rural areas come in the hope of finding a cure to their illness. Who is to be blamed for this gross negligence? The municipality? The indifference of the locals? Or should be just blaming the tourists who bring the biggest revenue to our town? Blaming one another is easier than actually taking a concrete step. It is the collective efforts of the municipality, local vendors, residents, school children, youth, and the communities that will bring about a change. Us locals, we love Darjeeling and are proud of its rich heritage; never once shying to brag about it with anyone who is willing to listen. But if someone asks ‘what about the garbage?’ we simply point fingers to the most convenient direction. I wonder why we don’t want to talk about the ‘not so beautiful’ things happening in our Hills. If Darjeeling is ours, the garbage also comes together with the package of ‘Queen of the Hills’. Isn’t it our collective duty to take ownership of the land and its beauty? 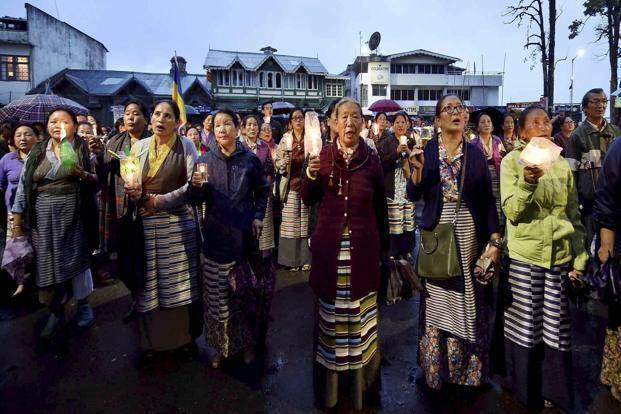 While everyone raises the hand to own Darjeeling, its pride and glory, but there is a stoic silence when it comes to the shameful and inglorious aspects of the city. To understand the difference, we don’t even have to look too far; just a visit to Sikkim will expose the stark realities and differences. 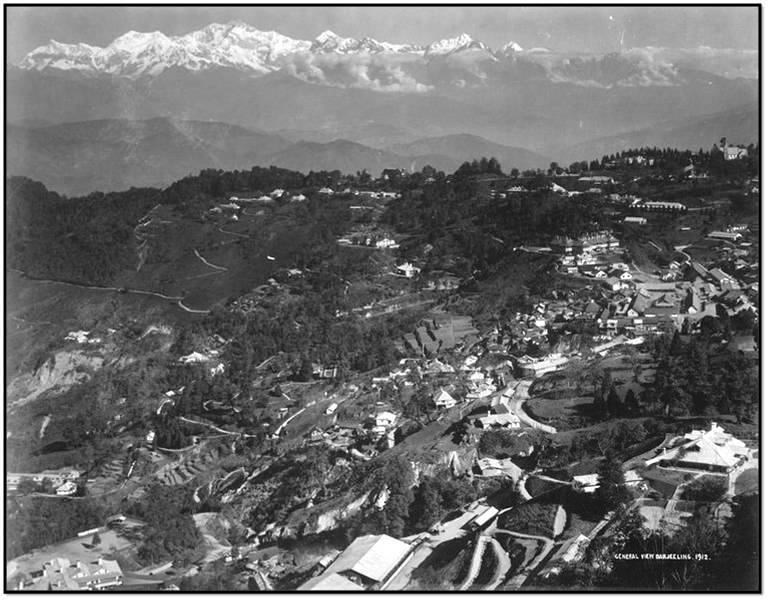 Simply taking pride in our land is never enough; we need to learn how to defend the name and fame of our Darjeeling, the Queen of Hills. 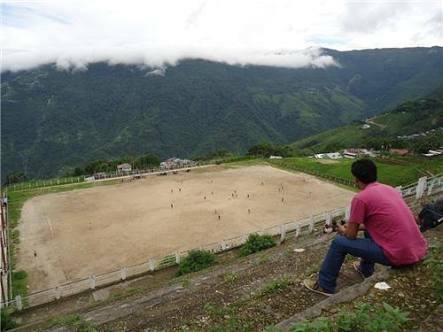 Oh Darjeeling, you beauty!! I cry for you today. The Queen has been dumped in the garbage, and what remains is just a memory and heritage of a glorious name and its wonderful people.